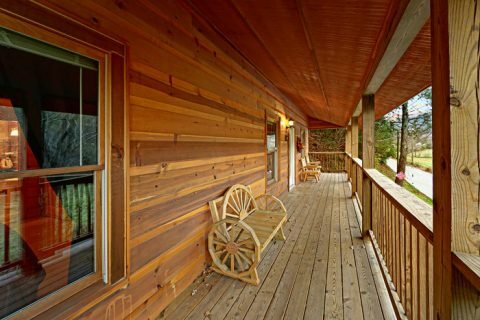 Arrowhead Ridge Resort Pigeon Forge TN - "Pleasant Hollow"
Welcome to Arrowhead Ridge Resort in Pigeon Forge, TN! 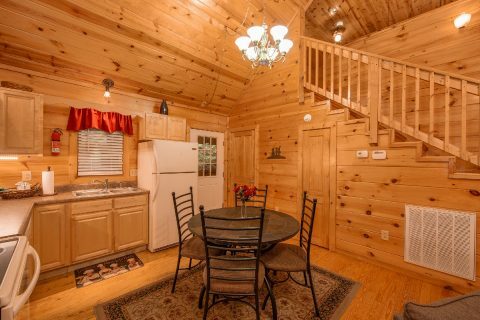 "Pleasant Hollow," a private 2-bedroom cabin in Pigeon Forge, places guests less than a mile off the action packed parkway. 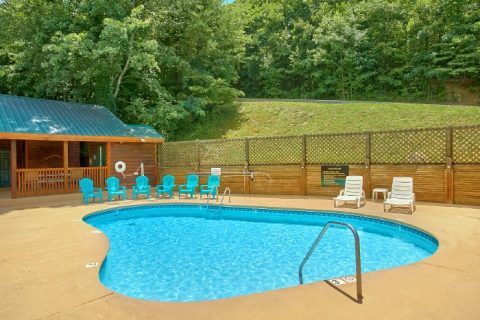 Nestled in its own private wooded setting, guests can enjoy the Arrowhead Ridge Resort's swimming pool and close proximity to dozens of attractions, restaurants, outlet stores and more! 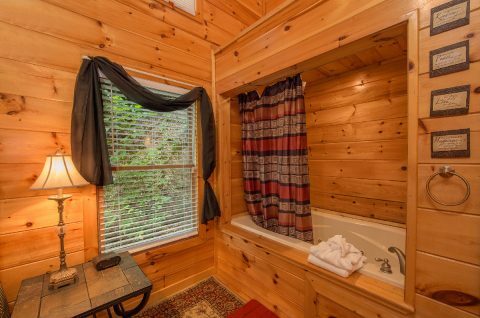 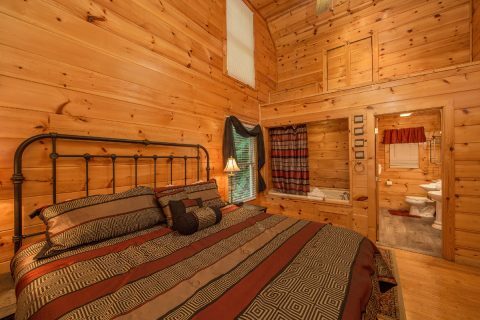 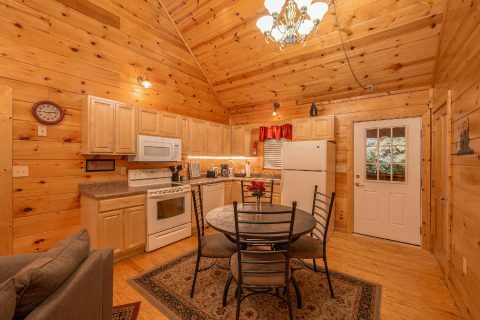 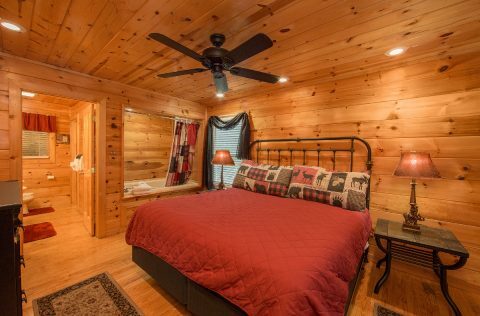 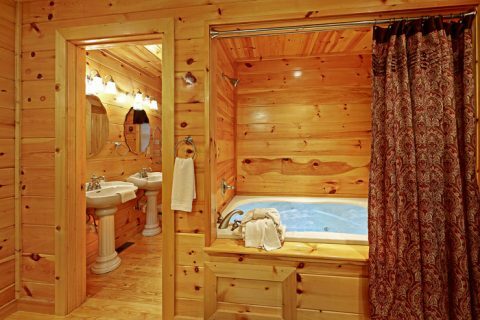 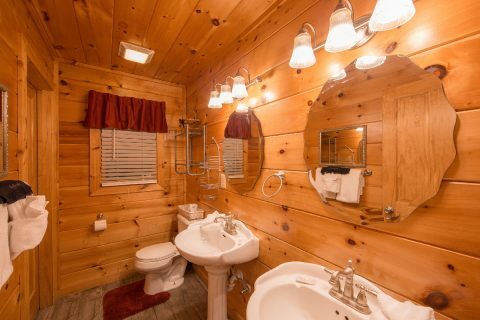 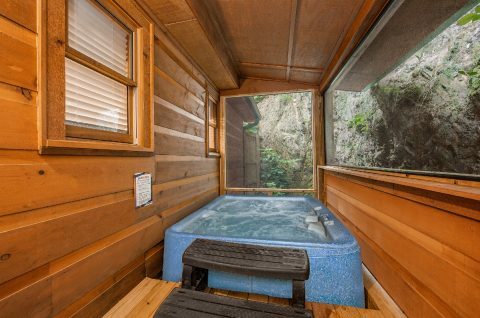 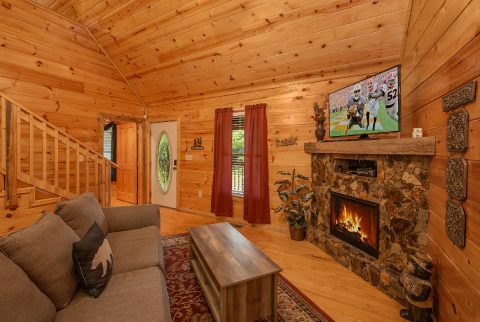 This cabin in Pigeon Forge in Arrowhead Ridge Resort sleeps 6 and features 2 bedrooms - each with their own king bed, flat-screen television, and private in-room 2-person jacuzzi. 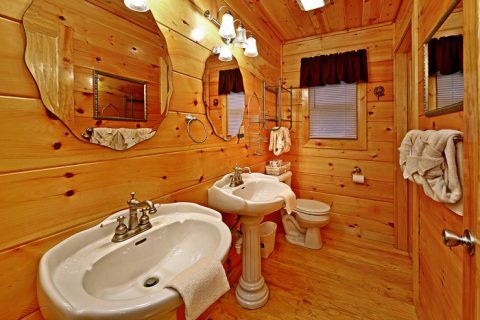 Both bathrooms have double sinks and walk-in closets for added space to get ready for daily adventures. 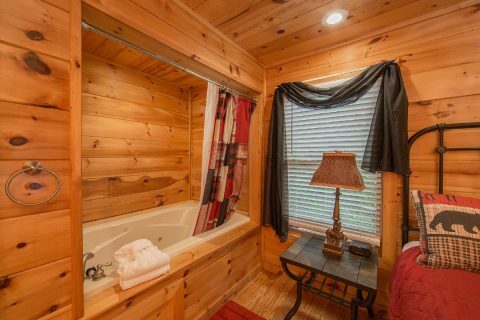 The cabin's large, private hot tub rests on the back porch, while the front porch houses large benches overlooking a peaceful pasture. 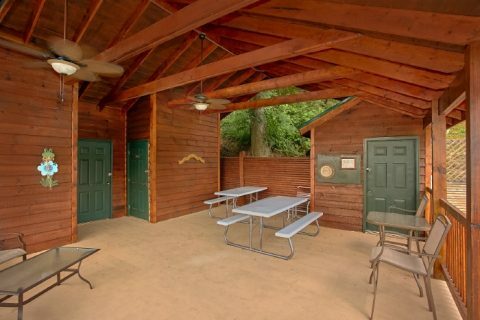 Just off the front porch is the charcoal grill perfect for a country cookout in the mountains. 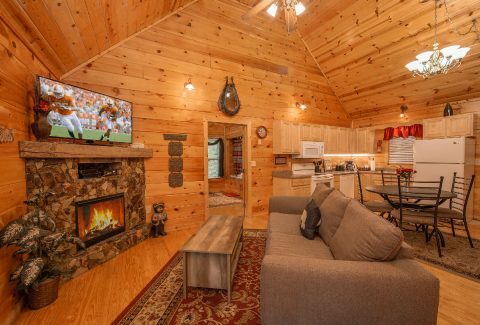 The comfortable living area offers guests a flat-screen television mounted above the cabin's electric log stone fireplace. 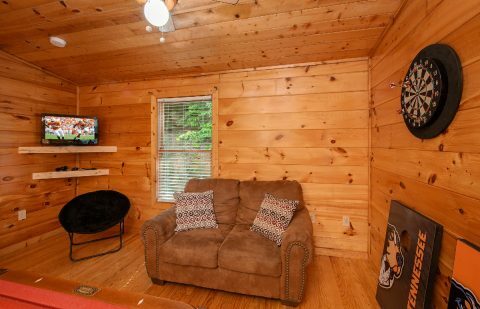 Additionally, there's wireless Internet throughout the cabin, allowing you to stream movies and games during your stay. 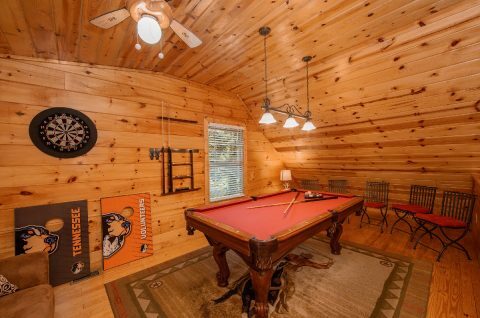 While Arrowhead Ridge Resort is close to all the action, "Pleasant Hollow" lets you keep up the fun with games of pool well into the night. 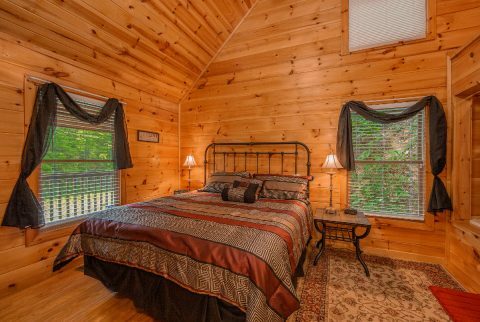 Tired of looking for the right cabin for your Smoky Mountain getaway? 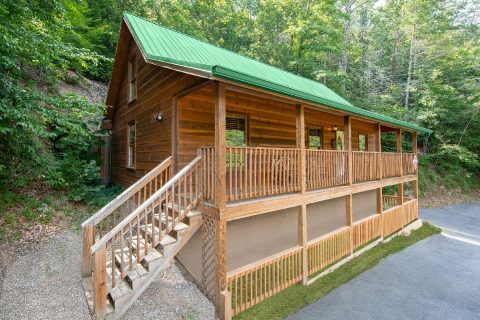 Reserve your next vacation cabin in Pigeon Forge, "Pleasant Hollow," today! Get immediate SAVINGS when you book your Arrowhead Ridge Resort Pigeon Forge, TN cabin ONLINE with Cabins USA Gatlinburg!